First, I'm going to pimp myself. I have not one, but TWO posts over at Jen's place. See, Jen is moving into her BRAND NEW HOUSE and one cannot be expected to blog whilst moving, can they? So, go and see me over there. At least for this post. The one where I tell you about the time my hair melted off my head. True story. 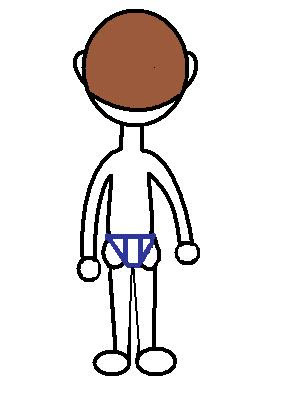 Secondly, Danny has taken to putting on his underpants without my help. Which means he puts them on backwards. Which means his little bum cheeks hang out and it looks very uncomfortable but he's very possessive of the fact that he did it ALL BY HIMSELF. I thought about putting in an actual picture, and then I remembered that when he's 16, I don't want him to hate me. YOU'RE WELCOME DANNY. Thirdly, it's warming up. We can go outside without jackets. Heck, we could probably run around in our undies and be just fine. Good thing is, I can send them out back once again. Bad thing is, they ask to go to the park. Am I the only one that hates taking people to the park? I mean, once we're THERE, it's fine. It's just the actual act of getting to the park that I hate. I mean, WHAT IS THE POINT OF HAVING YOUR OWN SWINGS IF THEY'RE NOT GOOD ENOUGH?